Over the last few years, the Ben Racine Band has been one of Montreal’s most critically acclaimed blues act. 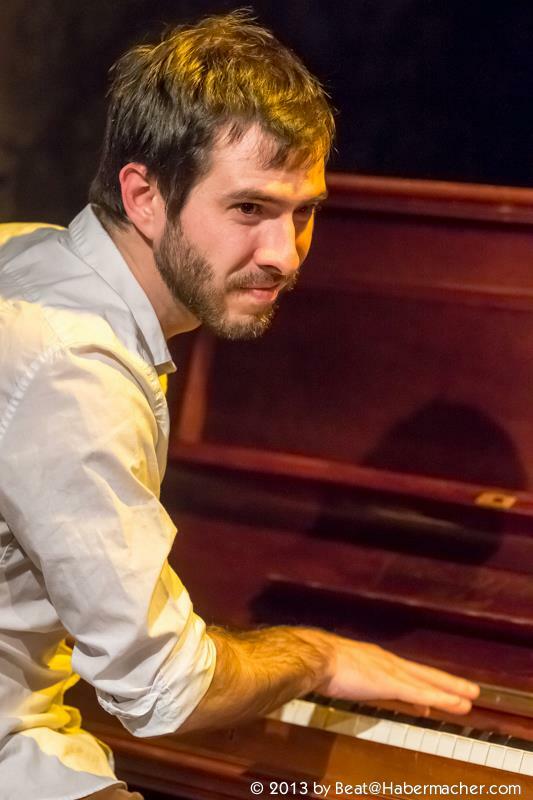 Ben, known for his exceptional vocal talent brings his soulful performances everywhere he goes. His first record “One Of A Kind” was nominated at the Maple Blues Awards in 2013 and the recognition never stopped since… The sound of the band originates from an incredibly tight rhythm section, screaming horns and a razor sharp telecaster guitar. A signature groove that lead them to backing-up several major blues artists like Kenny Blues Boss Wayne, Andria Simone, Shakura S’Aida, Angelique Francis and Dawn Tyler Watson. With Dawn, they are featured on her latest album “Jawbreaker” and have been her official band for the last three years. It lead them to win the 2017 International Blues Challenge in Memphis where Ben was crowned guitar player of the year winning the Albert King Award. A must see for any blues fan that enjoy truly original songwriting infused with horn driven soul and the golden days of R&B. 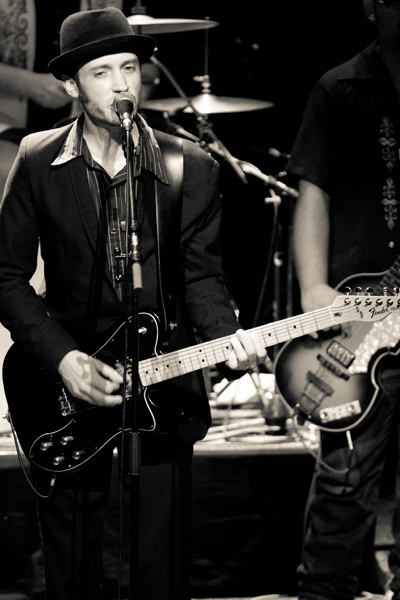 Ben’s soulful voice is reminiscent of the greatest Rhythm and Blues vocalists of the ‘50s and ‘60s. Inspired by artists such as Junior Walker, Bill Withers, Stevie Wonder and Clarence Carter, he will take you back to the days when vocals were the center point of music. He is also a lot more than just a voice. His guitar playing covers a wide range of styles – pleasing blues and funk fans alike. Winner of the “Albert King Award” for best guitarist performance at the International Blues Challenge in Memphis in February 2017, his contagious energy and charisma combine for a sound that is truly original. You’ll be tapping your feet within the first few notes. Kaven was born into a musical family, lovers of Rock n Roll, Country and Blues, and where his father first taught him to play the guitar and the bass at only 6 years old. Coming from the small town of Amqui, Québec, at the age of 16 he picked up his first saxophone. Music allowed him to travel all around the world on Cruise Ships accompanying such artists as Arturo Sandoval, Judy Carmichael and Elliot Finkel. You get to hear Kaven’s impressive talent and tremendous skills when you experience him live. He will capture your attention note after note. He developped his own style of playing the blues by listening to the greats, such as Michael Brecker, King Curtis and David Sandborn. He proudly has been touring and recording with the Ben Racine Band and the award winning artist Dawn Tyler Watson since 2016. Moose graduated from Cegep Marie-Victorin in classical interpretation in 2003. He then started playing blues in 2004 with the award-winning Kevin Mark Blues Band. After several albums and countless live performances both locally and abroad under his belt, he brought, in 2010, his big fat greasy sound to the Ben Racine Band. Since 2014, he has been backing up Dawn Tyler Watson with the Ben Racine Band with whom he won the International Blues Challenge 2017 in Memphis. He also was nominated in 2016 and 2017 for Horn Player of the Year at the Maples Blues Award. François studied and graduated a college degree in music from College Lionel-Groulx in Ste-Thérèse in 1999. He toured 5 stars hotels in asia in the early 2000’s playing in different countries such as Thaïland, India, Indonesia and China. 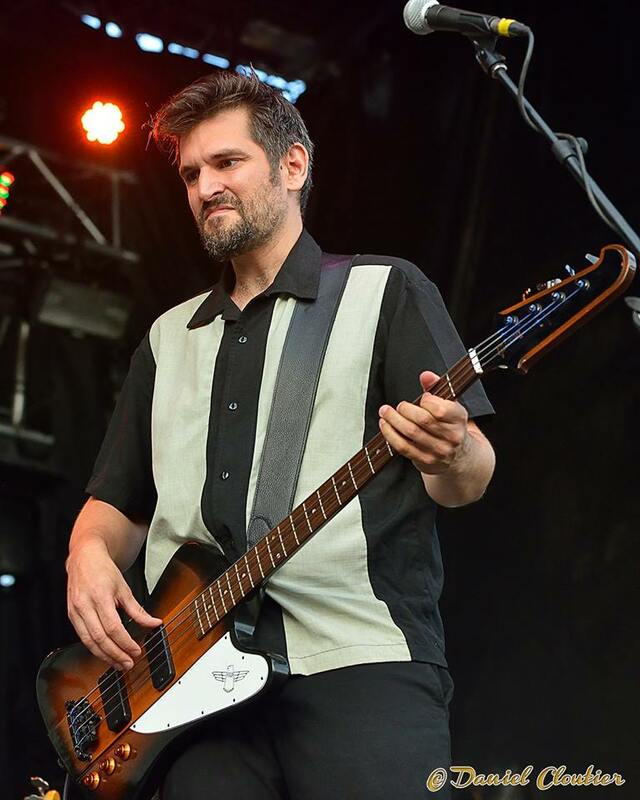 Since 2005, he is a freelance bass player for different artists including Jérôme Charlebois, Rick Hughes, Kevin Mark and David Jalbert to name a few. He also has been playing in festivals and cooperative parties around North America with bands like Body Groove and The Moonshiners. 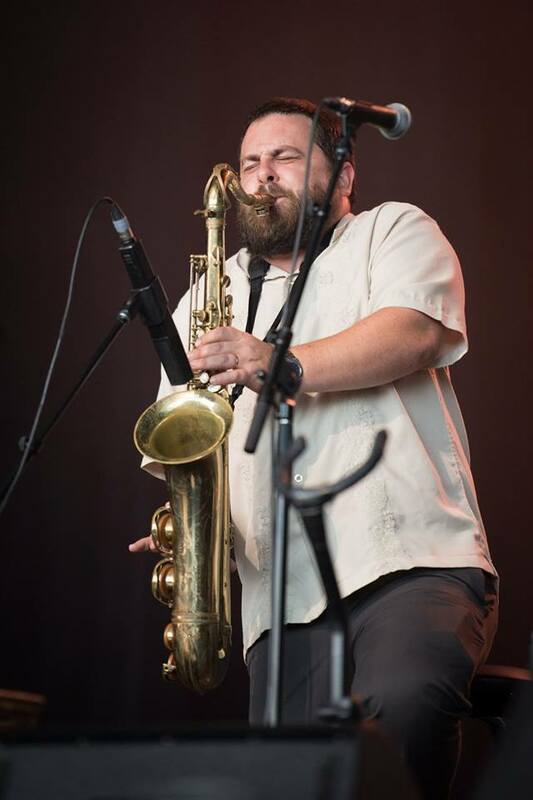 He joined the Ben Racine Band in 2013 and since played in blues festivals with them around Quebec, Ontario and the United States. 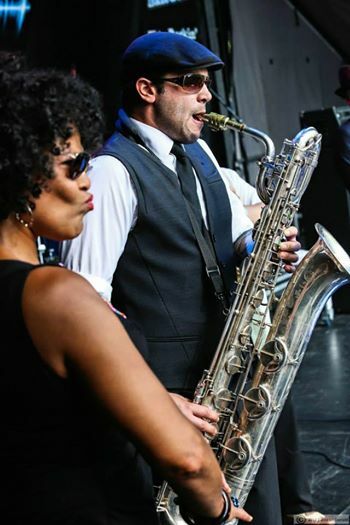 He has been working for Dawn Tyler Watson with the Ben Racine Band since 2014. Nicky started his musical journey at the age of 5 playing piano. He began playing drums later and studied with Jean-Marc Lajudie in Limoges, France. A professional musician since the age of 16, he has backed several international blues artists in Europe, Canada and USA, notably: Nico Wayne Toussaint, Shawn Pittman, Preston Hubbard, Sonny Boy Terry, UP Wilson, Cash Mc Call, and Dana Gillespie. Nicky also organized the festival “Joueurs de Blues”, in his village in France for almost 10 years. He moved to Montreal, in 2008 and in 2011, he released his first album on his own label: “Blues and Friends”. 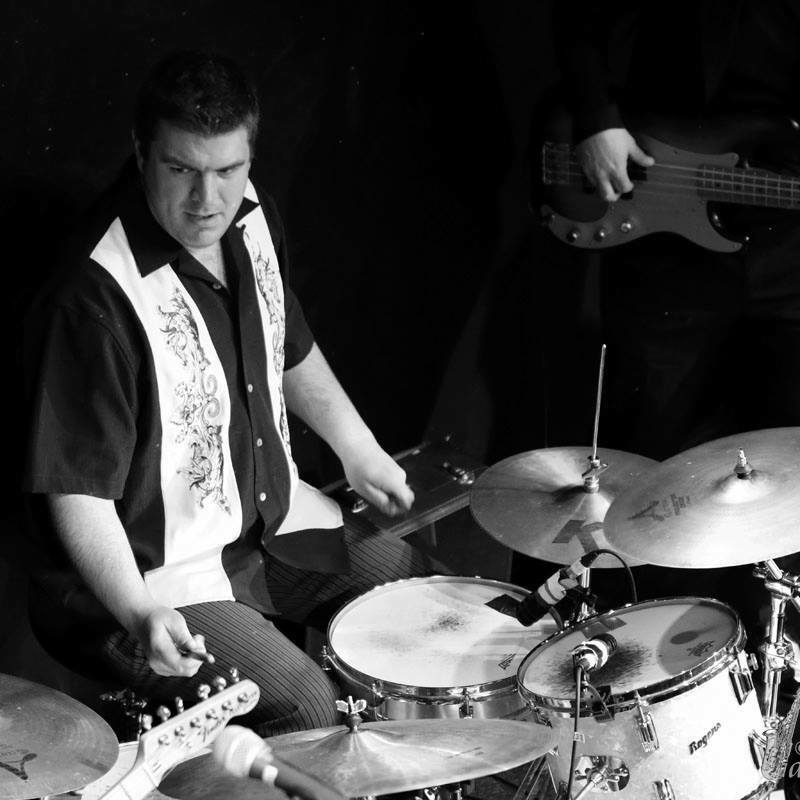 Influenced by old-school drummers Fred Below and Richard Innes, Nicky brings his ’50s-inspired blues and R&B to his current projects as a driving member of the Ben Racine Band, backing such international award-winning artists as Dawn Tyler Watson. 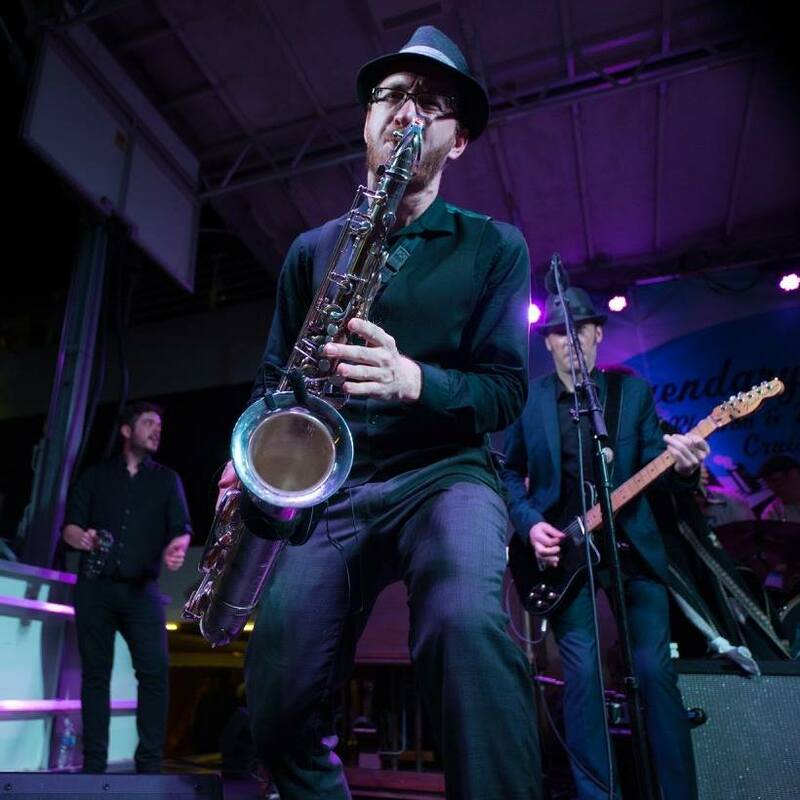 Considered as being one of the best blues sax players in Canada, Little Frankie has won the Maple Blues Award for Best Horn Player of the Year in January 2017. He also won Quebec Lys Blues Award for Musical Performance three times. Live is where he shines the most– from stages across North and South America to European festivals, his growling tones and energy are next to none. His unique and authentic sound is a tribute to sax legends J.T. Brown, Junior Walker, David “Fathead” Newman and King Curtis.